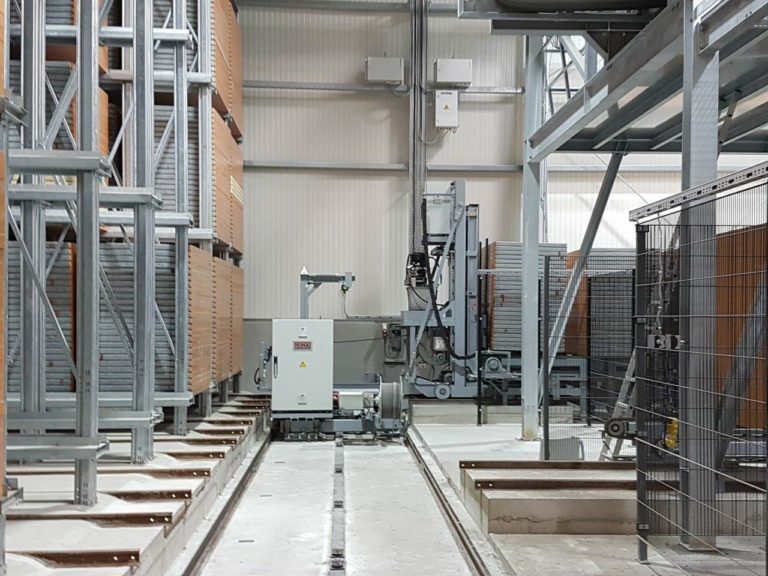 As a full-service supplier, FRIMA GmbH & Co. KG offers a comprehensive product range of handling systems and accessories – all adapted to the individual needs of the customer. 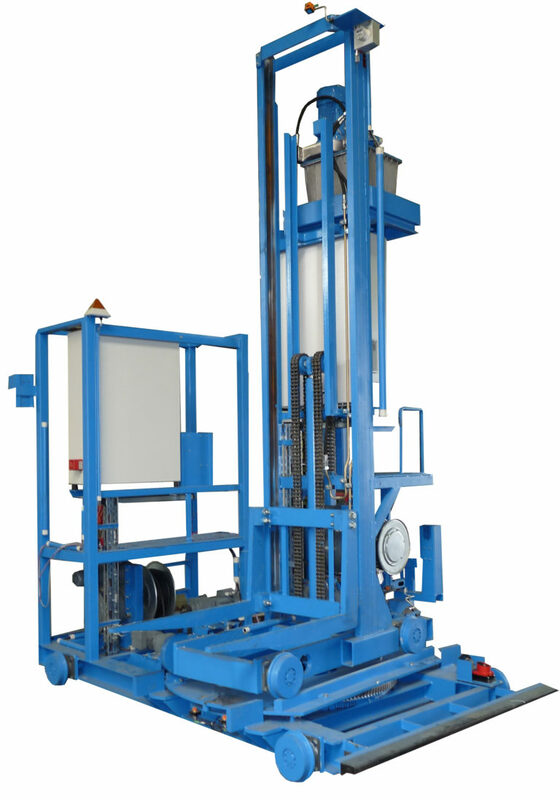 The stone setter allows the removal of stone layers on the dry line for subsequent stacking on a package for transport. The stone layers can be rotated up to 360° before settling. 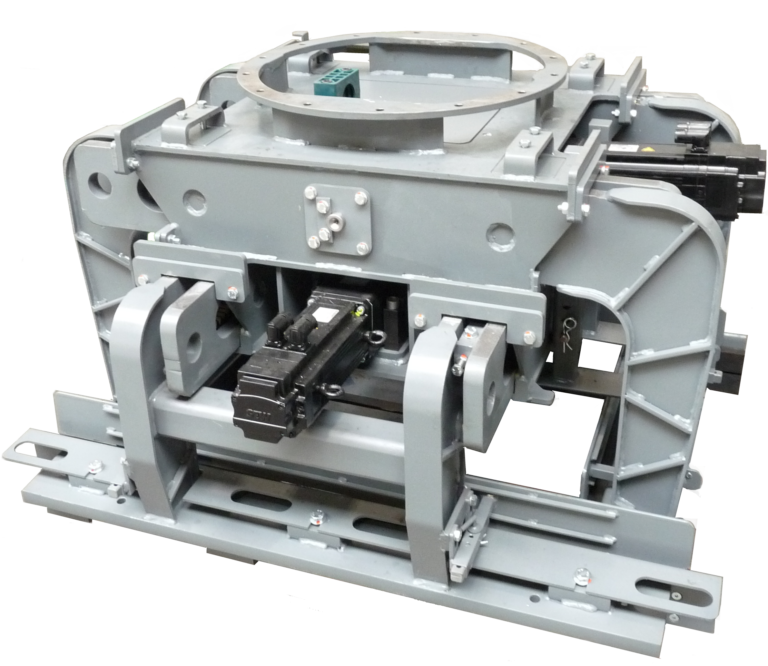 The trolley is speed-controlled in a gantry bridge with belt drive. 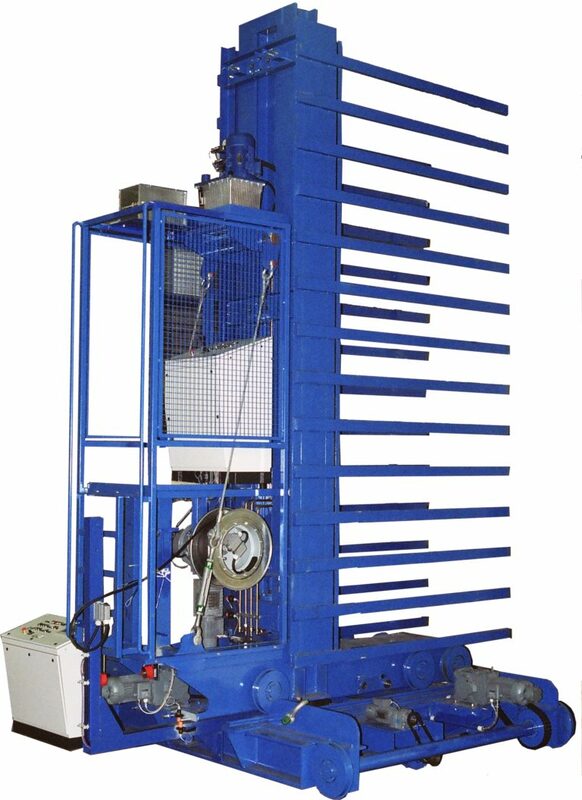 The hoist can be hydraulic or electric, depending on the requirement or customer request. The energy is supplied by energy chain. 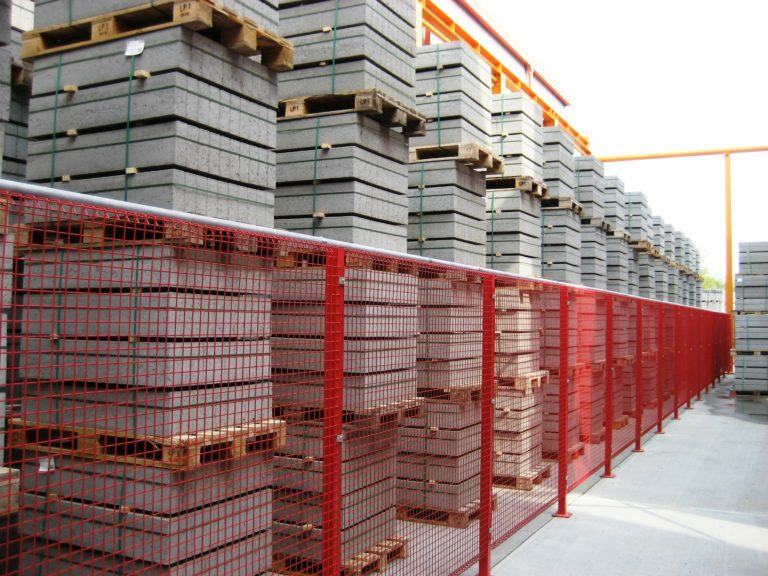 A driving platform is one of the essential components of a concrete block system. 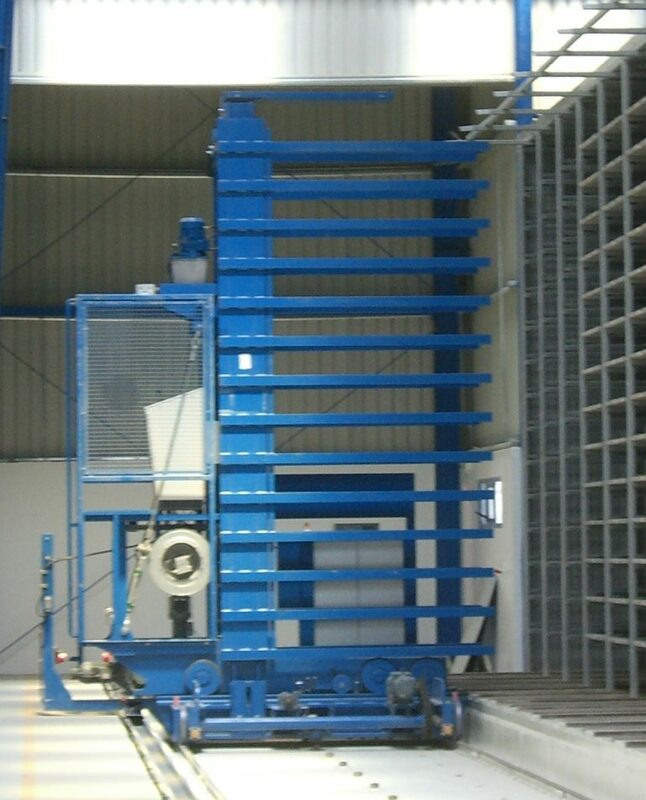 It transports the production pallets with the fresh products into the drying chamber and feeds production pallets with hardened products to the lowering platform. This makes it the central interface in the production system. 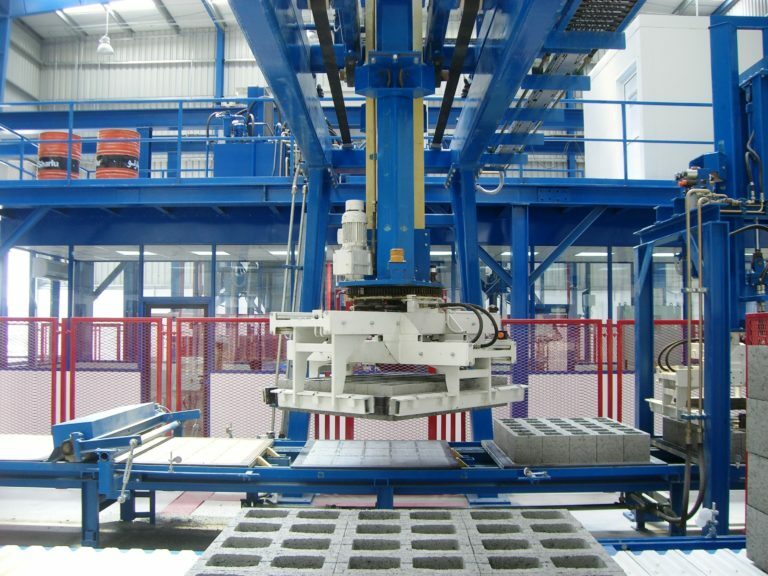 The FRIMA driving platform can be adjusted to optimize the product. The system network supplies the platform with all production data, including product name, form number, timestamp etc. When picked up by the lifting platform, the data is archived. 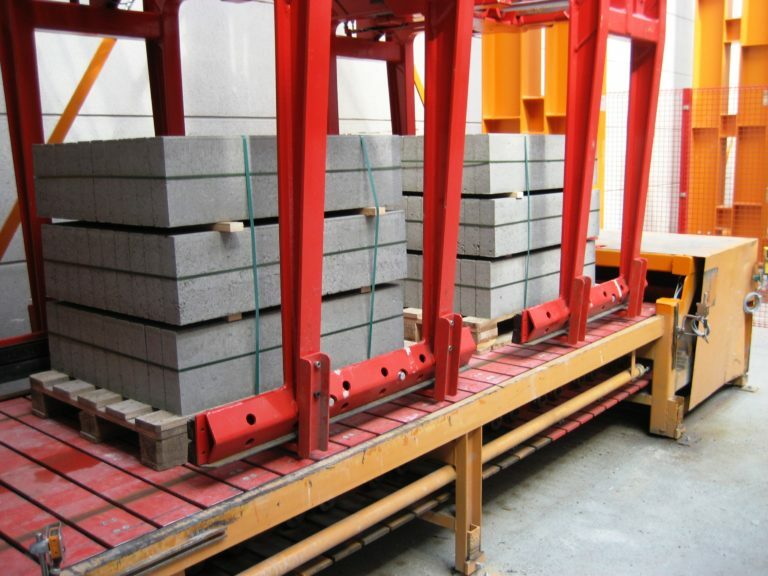 When handing over the dry product in the lowering platform, the data is made available to the dry side. 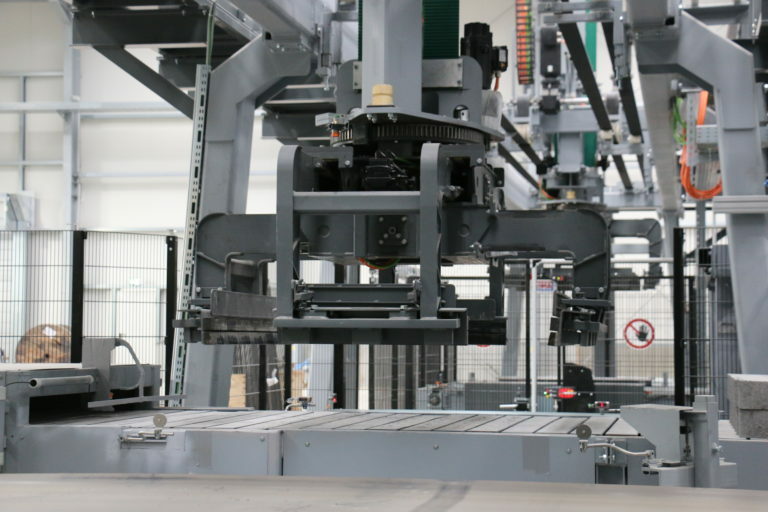 This enables seamless production data tracking through to labelling. 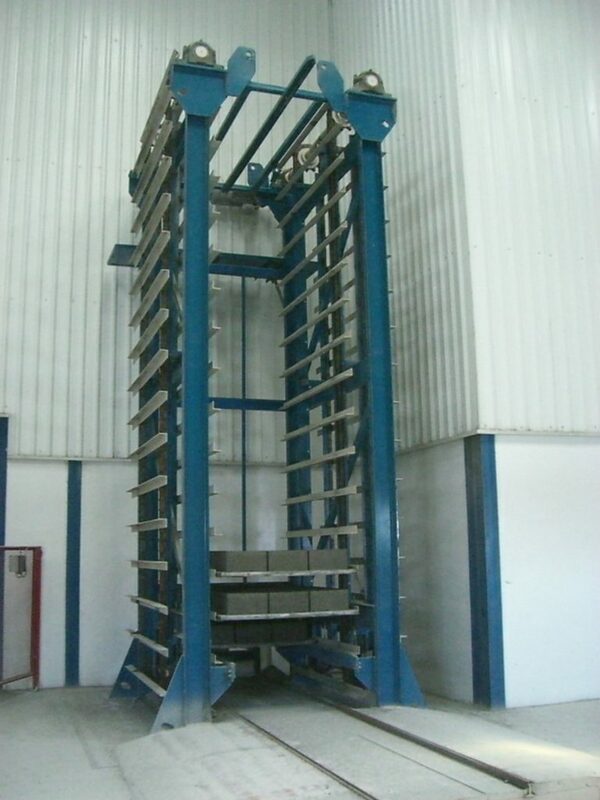 Depending on requirements, lifting and lowering ladders from FRIMA have a capacity of up to 25t. They are available in both single and double board versions. 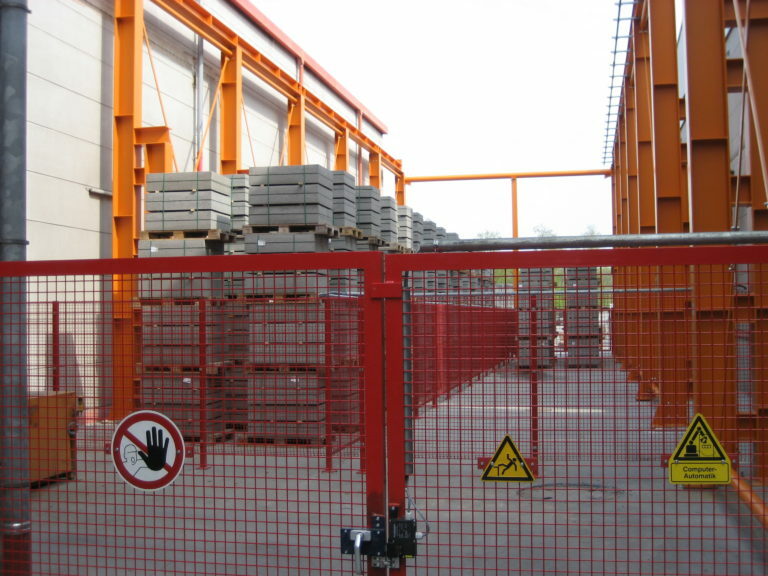 For optimum board centring, the supporting angles of the platforms have specially folded profiles. 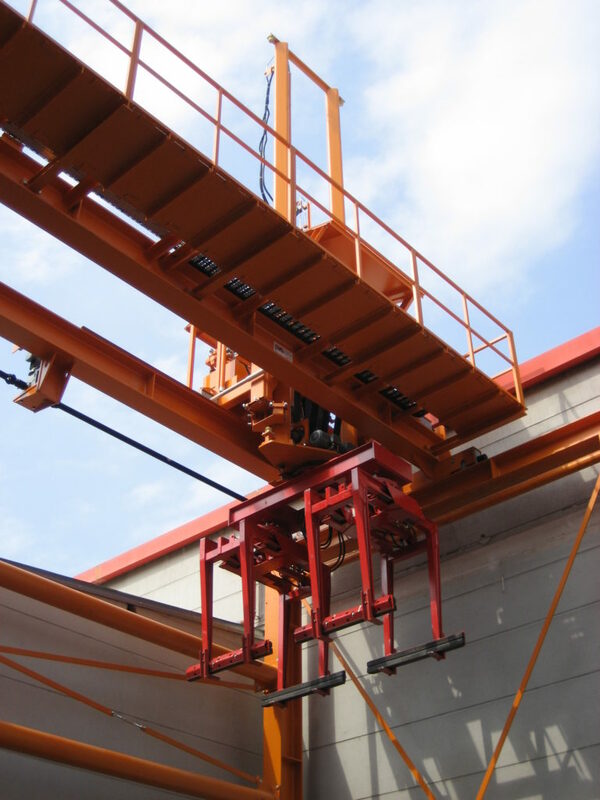 In order to avoid overlaps in the product movement in the vehicle group, lifting/lowering ladders can be extended with a buffer platform. 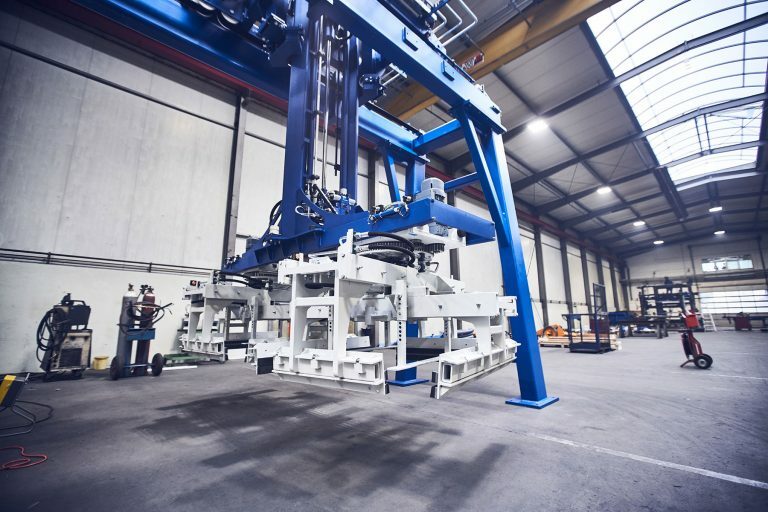 This ensures a continuous production process and minimizes the downtime of the system. 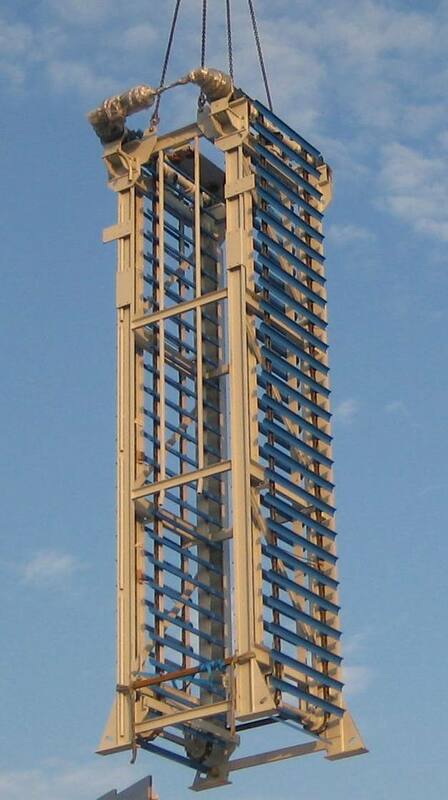 For maintenance purposes, the lifting and lowering ladders are available with a maintenance platform on request. The board package trolley supplies the production system with underlay boards. The board buffer can be up to three levels high with board packages of 25 boards. 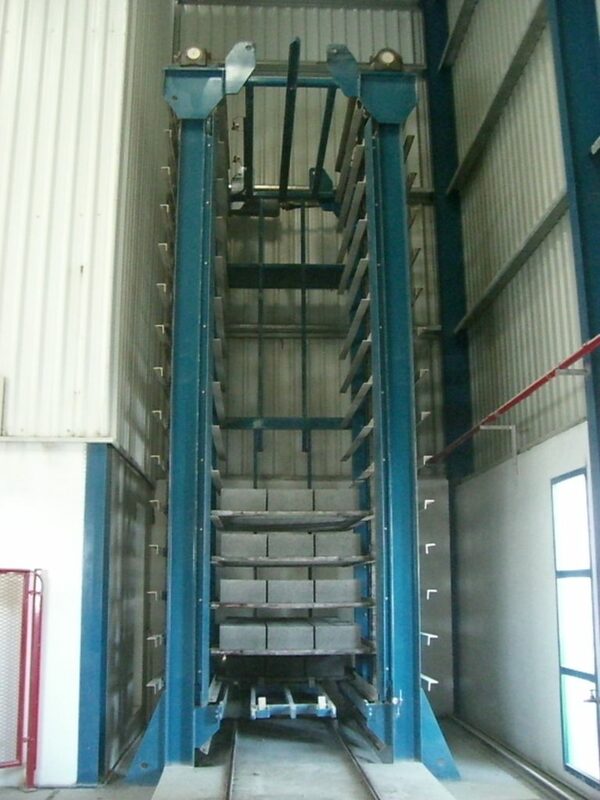 Another function is the management of a mould storage. 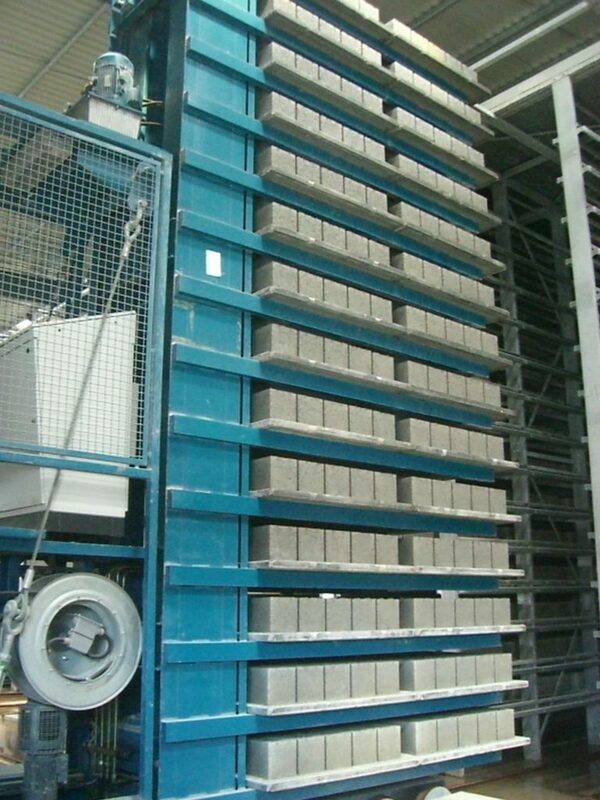 The mould storage can be up to 5 levels high and manage 150 moulds by default. 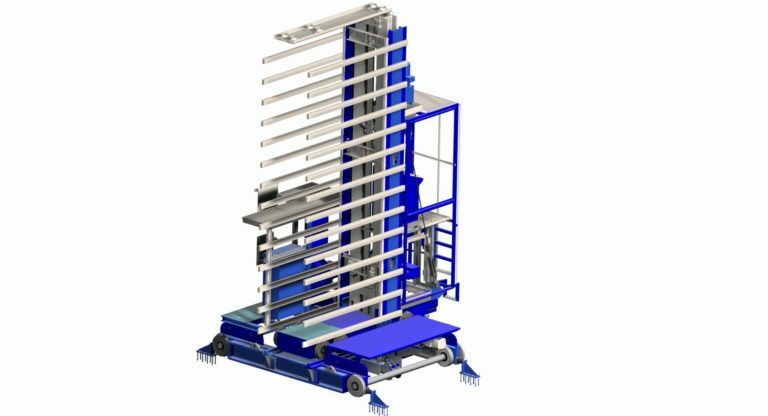 On request, the board package trolley brings moulds for changing the mould to the machine or brings moulds in the mould storage or to the cleaning station. With the FRIMA stone package buffer, it is possible to buffer the output of an entire layer to a storage location automatically. The forklift driver who normally works here can carry out other activities during this time, e.g. picking work. 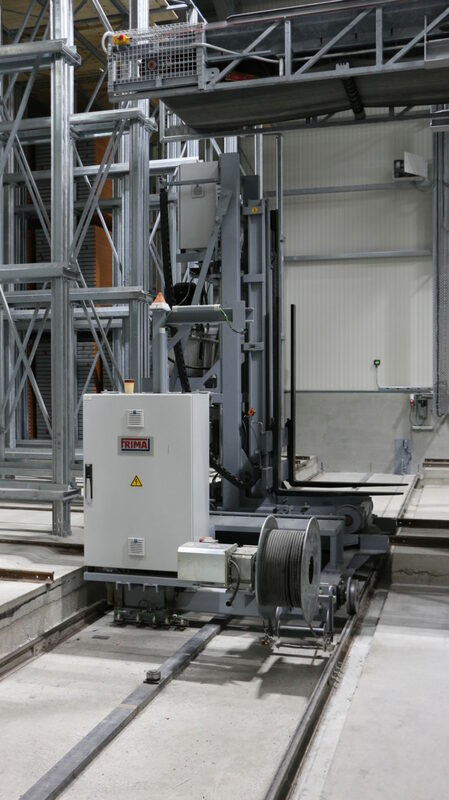 The buffer consists of two separate security areas, where one side can be equipped automatically and the other can be cleared by the forklift driver.